A bar or bat mitzvah is the stepping stone in the young child's life, as they become an adult member of the congregation. As I'm sure you already know, this happens at age 13. And if your son or daughter is approaching their birthday you are getting ready for their mitzvah ceremony. Here are some guidelines to help you with the invitation process! 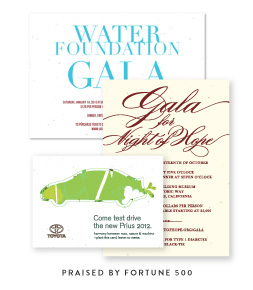 We recommend ordering your invitations about 3 months before your event. You want to make sure your guests receive the invitation at least one month in advance. We recommend to send the invitations 4-6 weeks before the date of the event. Standard etiquette is to request a response (RSVP) for the party 3 weeks in advance. No RSVP is needed for the ceremony, as it is open to the entire congregation. It is common for the family to host a private party or luncheon after the service, this is where the RSVP comes into play! 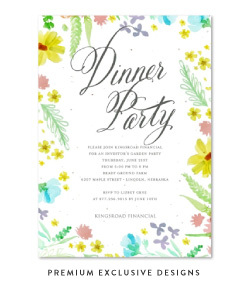 It is also customary to leave the party details off the general invitation and include an insert card for those invited to the private celebration. The Guest List consists of family, friends, classmates, and members of the congregation. It is up to you and your child who you want to invite. The invitations should reflect the formality of the bar or bat mitzvah and after party. If it is going to be a very formal event with black tie attire, the invitations should be elegant and include a note about "black tie only." On the flip side, if the party will be casual and held at the parents house for example, the invitation can be more fun and less formal. Since the event is for your son or daughter, and they are under the age of 18, a title is not used. The bar or bat mitzvah invitation should only have the your son or daughter's first and middle name. Do not use a initial for the middle name. If the child doesn't like their middle name it is better to omit it than use an initial. The last name is only used when mentioning the parents. Do not use Mr. or Ms. For example, the correct way to write the invitation would be "TYLER MATTHEW not "MR. TYLER MATTHEW GOLDSTEIN." Unlike wedding invitations, the date and time can be provided in a less formal format. We highly recommend included the date and time in all caps since it is essential information on the invitation. The date should be all on one line, and include the day of the week. You can use numbers or have it written out in letters, either way is acceptable. The time of the ceremony or party should be all on one line, following the date. We recommend including the phrase to donate the time of day: in the morning, in the afternoon, or in the evening. Some people choose to donate this by using AM or PM. Either way is acceptable. We hope that helps and don't hesitate to contact us if you have more questions - support@foreverfiances.com. Also be sure to check out our Bar/Bat Mitzvah invitations to find the perfect design and get inspiration from our sample images to create your text. Browse all of our Bar/Bat Mitzvah Invitations today!